On Thursday, Apple released a major update to its Final Cut Studio suite of post-production video and multimedia applications. The latest Final Cut Studio includes the new Final Cut Pro 7, Motion 4, and Soundtrack Pro 3; the updated Color 1.5 and Compressor 3.5; and the four-year-old DVD Studio Pro 4. Read our reviews of the just-released Final Cut Pro 7 ( ), Motion 4 ( ), Color 1.5 ( ), Compressor 3.5 ( ), and Soundtrack Pro 3 ( ) . With this latest version, Apple has dropped the price of its suite from $1,299 to $999, with upgrades also less expensive at $299 (down from $499). 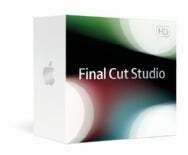 Final Cut Studio requires an Intel-based Mac running OS 10.5.6 or later. (You can find complete system requirements on Apple’s Web site. New in Apple’s Final Cut Pro 7 non-linear video editor are three new version of the ProRes codec for faster and higher-quality video editing; an iMovie-like Share window for exporting for various purposes; Blu-ray Disc support for encoding and then burning on a third-party Blu-ray drive; iChat Theater support for working with clients or collaborators; Native support for the AVC-Intra format; and a redesigned Change Speed window that offers the ability to alter speed without rippling your sequence and more. Other changes include a new timecode window, improved markers, closed caption support, background exporting, global transitions, Multi-Touch gesture support, and Cinema Tools 4.5. Real-time 2-D and 3-D graphics compositing app Motion now includes 3-D shadows and reflections with adjustable color, shadow, opacity, and more; depth of field capabilities with a Focus camera behavior for drawing attention to moving objects in 3-D space; and new text and titling tools, such as a new Adjust Glyph tool for distorting characters and a new Scroll Text behavior for automatically animating credit rolls. Motion also adds a Bad Film filter for giving footage a historical look; the same easy export options, ProRes 4444 support, and Multi-Touch gesture support as Final Cut Pro 7; and support for the 3Dconnexion SpaceNavigator. Sound-editing and -mixing app Soundtrack Pro includes a new Voice Level option to match dialogue levels across a project; an enhanced audio file editor with drag-and-drop options for adding, removing, and reordering channels and a Frequency Spectrum view for adjusting the amplitude of frequency selections; and the ability to stretch and compress audio using three time-stretch algorithms or third-party plug-ins. Soundtrack Pro 3 also includes new multitrack editing tools, enhancements to noise reduction, iXML support, integration with Euphonix control surfaces, and improved overall performance. Apple’s color-correcting software now has seamless round-tripping for most sequences with Final Cut Pro; gains support for 4K files, adding the ability to grade and render at maximum quality with files from cameras such as the Red One; and adds support for affordable controls surfaces including the Tangent Devices Wave and the Euphonix MC Color. Color 1.5 also adds the ability to copy grades to all selected clips, more than 90 new included color grades, and an improved waveform display. Final Cut Studio’s encoding application, Compressor, now includes a Job Action feature to automate tasks (open a file, encode it, and send it off to the Web or your iTunes library, for example) or trigger Automator workflows; batch templates to automate encoding workflows using any combination of settings and destinations, or a job action; enhanced droplets (standalone desktop presets); Blu-ray and DVD burning; and cluster-based reference file encoding. Apple also released Final Cut Server 1.5 on Thursday, an update to its media asset management and workflow automation software. The new version adds automatic ProRes 422 (Proxy) files generation; image sequence support; Production hierarchies; improved search performance; global saves searches; and support for metadata in audio files. 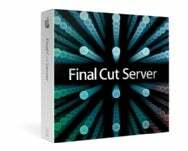 Final Cut Server 1.5 costs $999 for an unlimited number of users, while current Final Cut Server owners can upgrade to version 1.5 for $299.